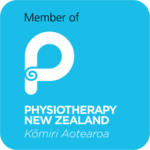 This clinic employs mature and experienced Physiotherapists, Podiatrist and Massage therapist who have spent many years within the profession developing exceptional skills and expertise. Because of our high standard of care and expertise we charge a co-payment with ACC consultations. The time we spend with clients is key to achieving the results we do.